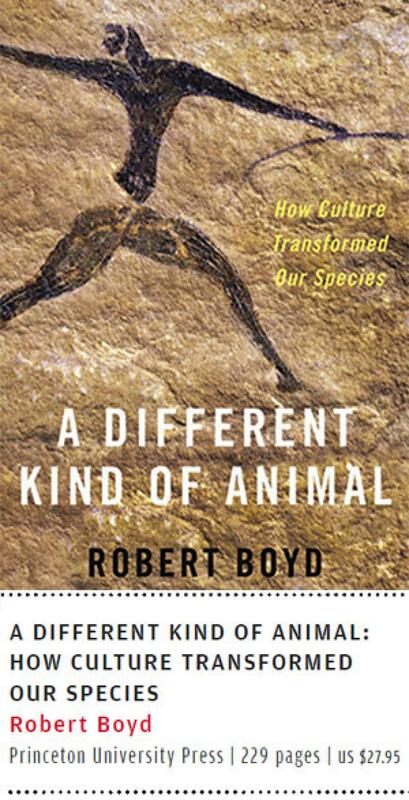 In A Different Kind of Animal: How culture transformed our species, anthropologist Robert Boyd counters the established theories of evolution and adaptation. “We are not nearly smart enough to have solved the vast array of problems that con-fronted our species as it spread across the globe,” he says. Rather, Boyd says that what made us the most successfully-adapted species is our culture. He attributes our ability to adapt to a vast variety of changing environments not to individual intelligence, but to “cumulative cultural adaptation”. Culture makes us a different kind of animal, says Boyd. He argues against natural selection being responsible for human adaptation to various environments. “Natural selection is relatively slow process, so genetic differences cannot explain why the people of Sibudu Cave used adhesives made from acacia gum while Aboriginal Australians used spinifex resin.” He believes that it is the “flexible adjustment of behaviour and morphology to the local environment during an animal’s lifetime” that makes us adapt to environments. To prove his argument of culture over intelligence, he cites the example of Burke-Wills’ ill-fated expedition in Copper’s Creek, Australia, in 1860-61, when all but one member survived during that expedition. This, even as the aboriginal Yandru-wandha community was able to thrive in an environment that starved and killed the European explorers. Does this mean that the members of the Burke-Wills expedition were of inferior intelligence than the Yandruwandha community? No. The Yandruwandha simply had a treasure trove of knowledge about the environment they lived in—knowledge that formed a part of their culture. He says that creating the kind of technologies and tools that we have today is due to the collective work of cooperation and imitation. Even to make a fishing net, requires the knowledge and skills of many people. Hence, cooperation is important. Cooperation, Boyd says, is unique to our species. “Supercomputers” is what we are. 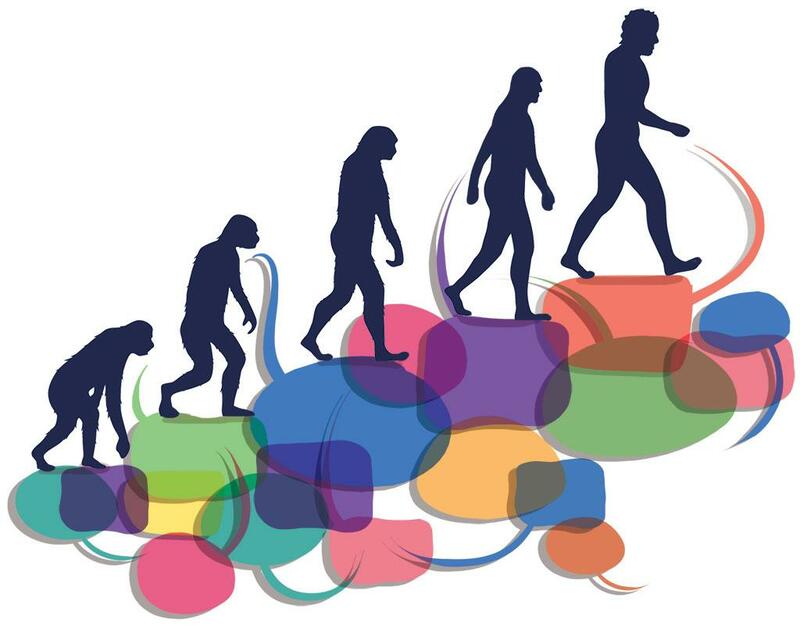 As far as cooperation among non-related members, homo sapiens are the only species that cooperate—a case in point is the teacher-student association. This, Boyd postulates, helps in transmitting values that favour the adaptive ability of humans. This cooperation takes many forms, and these, in turn, help societies evolve different moral codes, ranging from marriage institutions to political systems. These codes govern the collapse or success of societies. He elucidates the importance of cooperation by citing the example of Christianity prevailing over paganism in the Roman empire. “Whereas paganism had a weak tradition of mutual aid, solicitous care of sick in Christian communities reduced mortality and increased well being,” he says. Imitation too has helped us become the most successful species on the planet—especially imitation of behaviours and norms of successful groups. “The fact that we can learn from others means that everybody doesn’t have to invent everything for themselves, and the cost of innovation can be spread over many individuals,” he says. Boyd cites the example of villages in Yasawa Islands in Fiji. Here, consuming large predatory fish like shark and barracuda is prohibited for pregnant women. When asked, the women didn’t know the importance of the practice, but researchers have found that big predatory fish species have the highest concentration of ciguatera toxin that can cause poisoning. Though the women didn’t know why they were imitating a behaviour, it helped them to adapt successfully to the local environment. But imitation too has its flip side. “Not all of the consequences are positive: maladaptive ideas and false beliefs can also spread via blind imitation,” he says. Yet, this doesn’t answer the fundamental question: why are homo sapiens the only species that underwent cumulative cultural adaptation? Boyd has some pointers. Firstly, he says while imitation is observed in other species, like Chimpanzees making tools by observing other chimps, their level of “fidelity of transmission is low compared to that in humans”. Secondly, other species have their limitations for the use of tools thereby making the probability of creating a cultural knowledge bank less likely. He says that as other animals are quadrupedal; they aren’t able to carry their tools with them, which limits their tool usage capacity. The high levels of cooperation among humans are due to systems of teaching and the presence of spoken language that make it easier to cooperate and create cultural learning resources. (This article was first published in the 16-31 March, 2018 issue of Down To Earth).